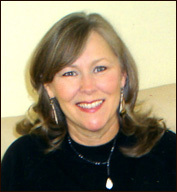 Doris Kitchin is my doula partner and friend. We met a few years ago at a doula function here in So. California. We discovered that our philosophies in childbirth and infant care are similiar. Since then we have been contracted to work together with families in Orange and Los Angeles Counties. Successfully we have synchronized the babies into sleep/wake/feed patterns that make life easier on the parents. Doris and I have worked together with families of singeltons, twins and triplets. Here is a bit about her in her own words. The DOULA cares for the mother and her family in their home in the first few weeks following the birth. I will provide non-medical support and companionship; assist with newborn care and sibling adjustment, meal preparation and household organization. I will offer evidence-based information on infant feeding, emotional and physical recovery from childbirth and other issues related to the postpartum period. For client needs beyond the scope of my training, referrals are made to appropriate resources. A doula does not take over the care of the baby. My practical aim is to provide families with the comprehensive knowledge, support and information that they need, in a non-judgmental manner. Equally important is my desire to make my clients feel emotionally comfortable, prepared and confident to be the leaders of their families. I believe that supporting families will empower them and therefore create stronger, healthier babies and communities. I am registered and finger printed though Trust Line, California's background check and registry for in home care. I am currently certified in Adult/Child/Infant CPR & First Aid. I also have received all of the necessary immunizations for good health. I am certified with DONA (Doulas of North America), a chapter co-leader of ICAN and a member of DASC and CEA-OC. I have been a mother for the past 32 years of four wonderful successful children and loved each moment. I have a combined total of 3.3 years or 40 months breast feeding my children. It is best to arrange for postpartum care a couple of months before your estimated due date. This will give us a chance to meet and discuss the support you will need. I always endeavor to support each family to uniquely incorporate the newest member of the family for long term success.